At Stanton's Mill, we grind wheat and other grains between mill stones with stones we grind at lower temperatures than modern milling methods, yielding products of superior taste, texture, and nutritional value. Our traditional approach adds no chemicals or preservatives that change the composition and the texture of our food products. We do not heat, treat or fumigate our products. Today most flours labeled as "stone ground" are not stone ground. Few distributors of products so labeled will permit you to watch them grind flour; instead they produce flour from modern roller mills and then falsely repackage it for sale as "stone ground". Phony "stone ground" flour can be found on the shelves of many retailers. Come to Grantsville, Md at Stanton's Mill. 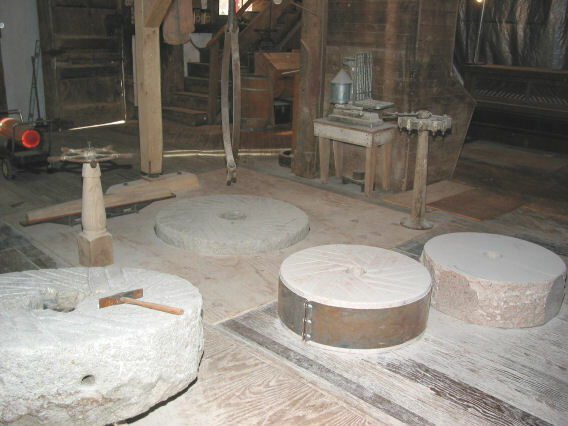 You will see real old time milling with stones. Thomas Stanton conveyed water privileges for a grist mill at this site in March 1797 to Jesse Tomlison. In the same year Tomlison built a two story mill here. Portions of the original mill stand today within the right bay of the current three bay structure. Just before the Civil War the mill was rebuilt and sold back to the Stanton family. 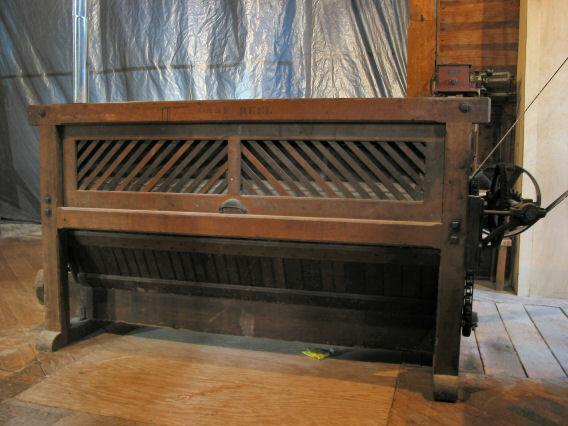 In 1888 Eli Stanton removed the buhr stones from the mill and replaced them with eight sets of steel roller mills. 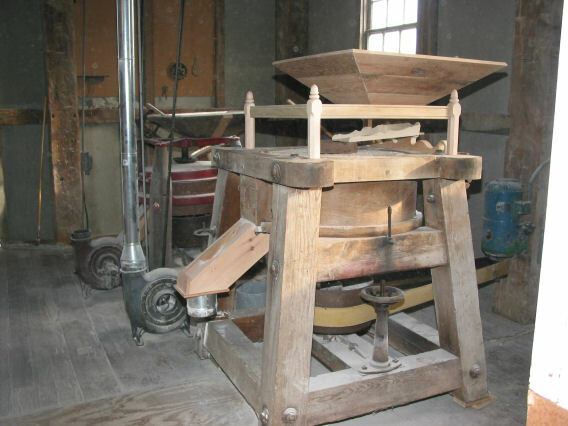 One roller mill could do the same work in one hour that a set of stones did in eight hours, but produced flour at a higher temperature. In 1900 Eli Stanton enlarged the mill to its present size. After 1900 Stanton's Mill operated as a grist and feed mill until 1977. From 1977-1994 the mill operated as a feed mill only. 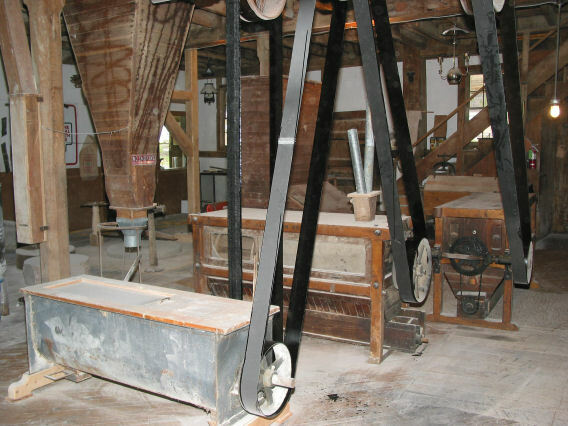 In 2002 Kentucky miller John Childers entered into an agreement with Penn Alps, Inc. to restore Stanton's Mill as an authentic 1860-1889 stone ground grist mill. 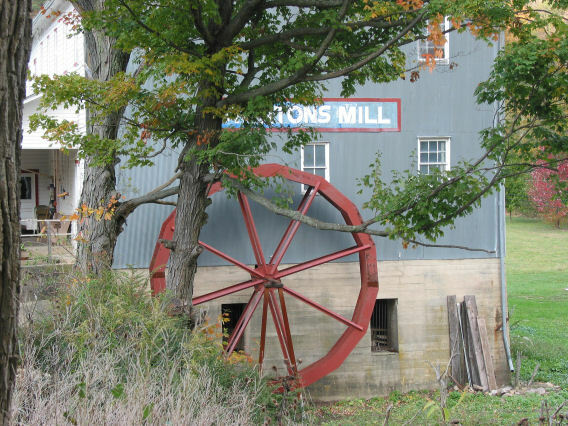 As with most mills, Stanton's Mill has gone through several changes in its mode of power, including an undershot water wheel; two different turbines, one 18 H.P. and one 25 H.P; steam power and finally electric power. 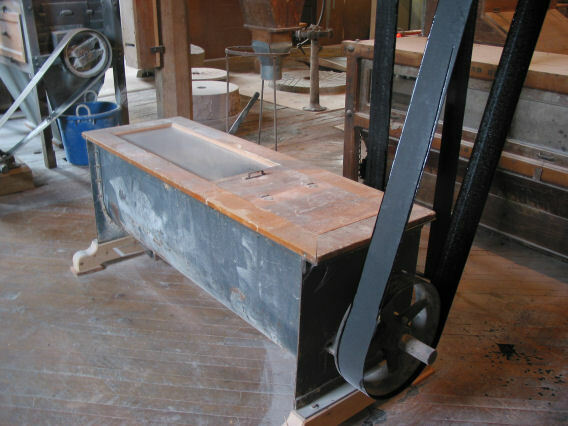 We have modified Stanton's Mill to operate with a high breastshot water wheel and also electric power.